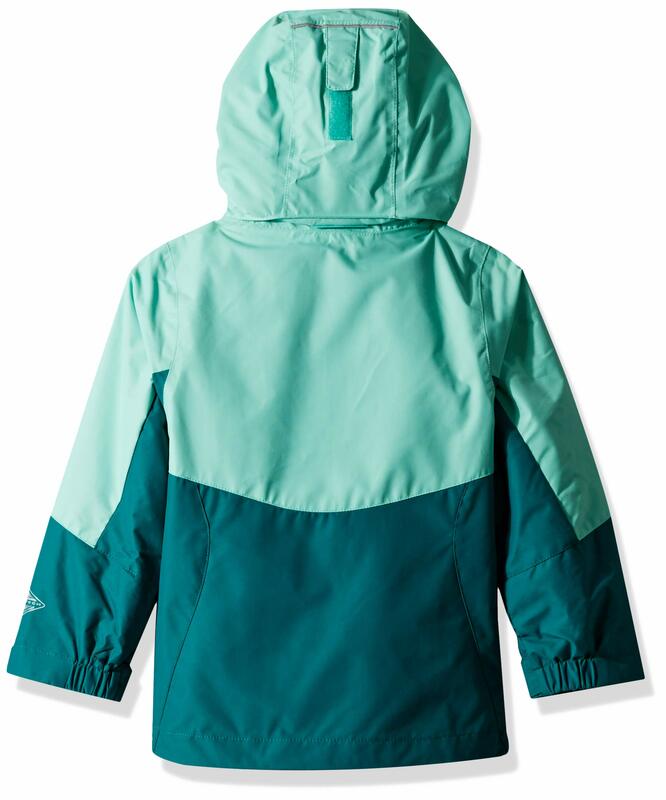 ADVANCED TECHNOLOGY: This boys’ jacket features our signature Omni-Tech technology for a waterproof and breathable construction and Omni-Heat Reflective technology for thermal reflective warmth. HANDY FEATURES: This waterproof jacket features media and goggle pocket, zippered hand pockets, fleece lined pockets, a reflective detail, and a taffeta-lined hood. ADJUSTABLE FEATURES: This waterproof jacket features our OUTGROWN grow system to make this jacket last with adjustable cuffs and removable, adjustable storm hood. 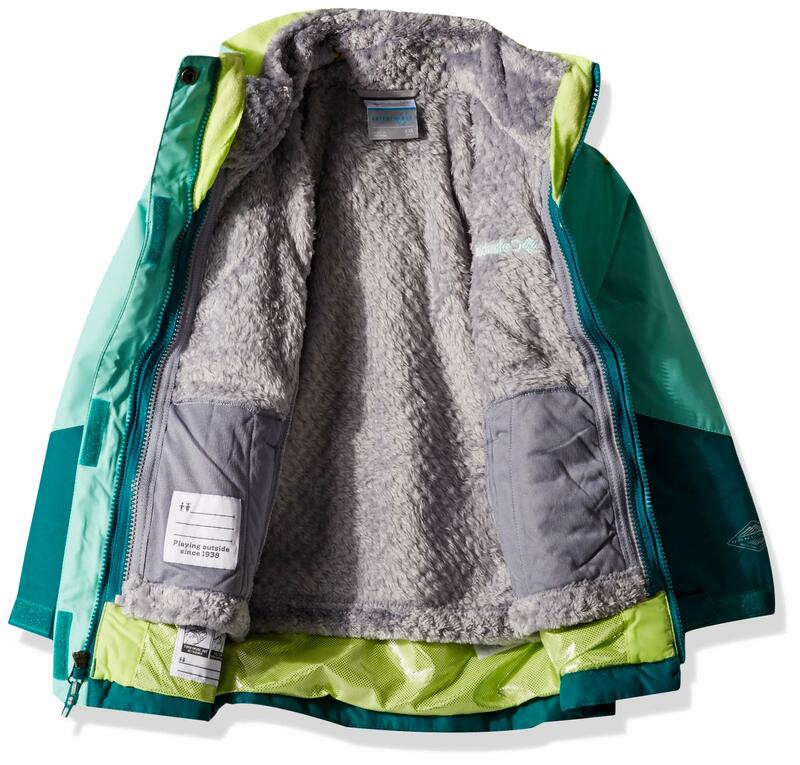 The Columbia Girls’ Bugaboo II Fleece Interchange Jacket is a cute, easy to configure, and warm multiple-use winter coat. 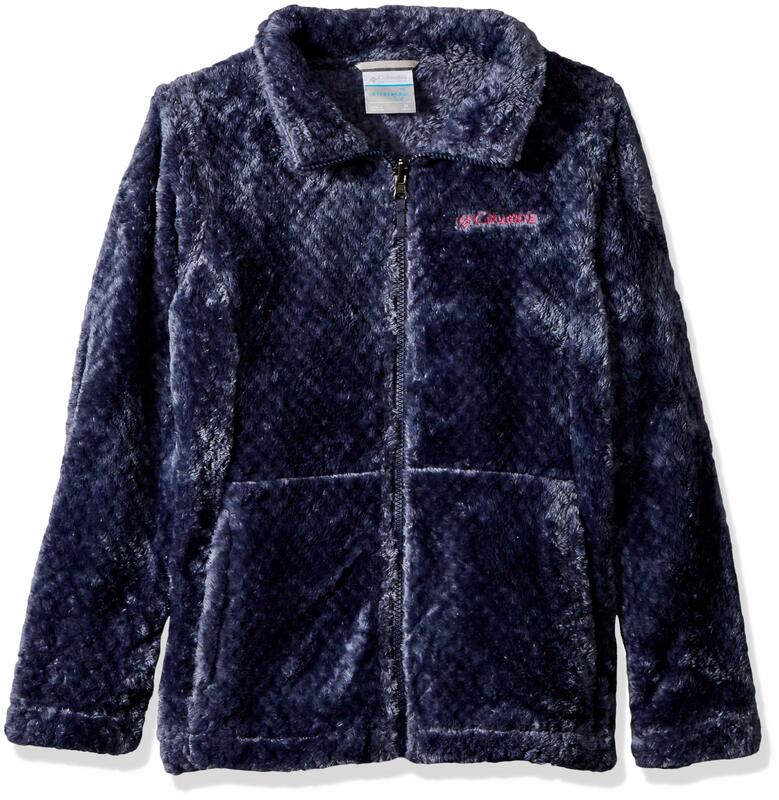 Designed from high-quality materials and with Columbia’s OUTGROWN growth technology, this girls’ winter jacket features a classic three-in-one design. It includes a waterproof and breathable outer shell and an inner fleece layer that can be worn separately or zipped together for extra protection against wet and cold weather. 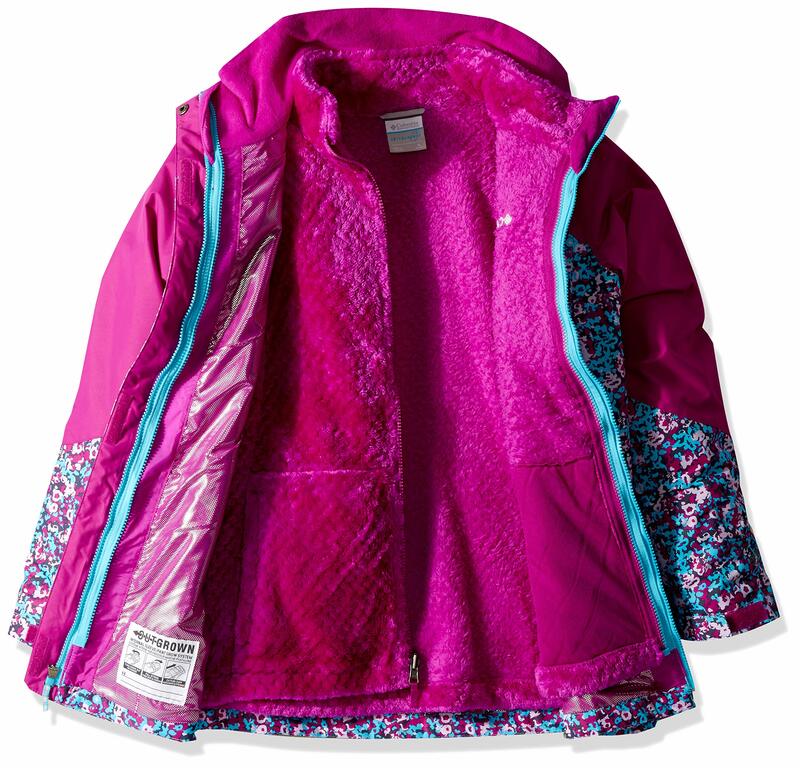 The advanced technology materials in this girls’ cold weather jacket make it waterproof, breathable, and reflective. The material has been seam-sealed to ensure longevity and a precise fit that holds up against frequent use and extreme weather conditions. 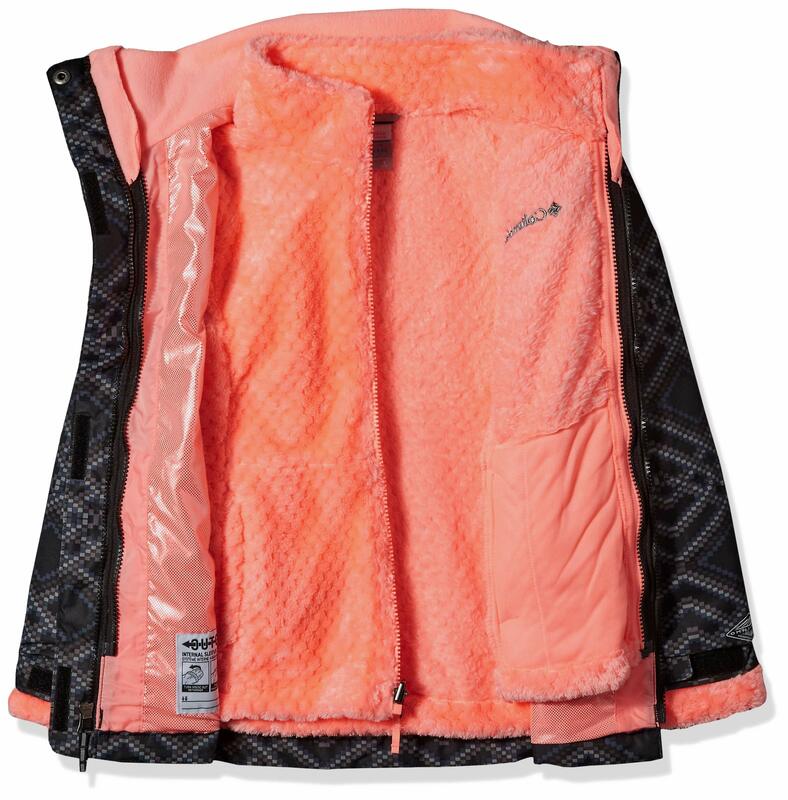 The waterproof outer shell features an inner layer of reflective thermal material. The inner liner helps to maintain natural body heat, which increases comfort. 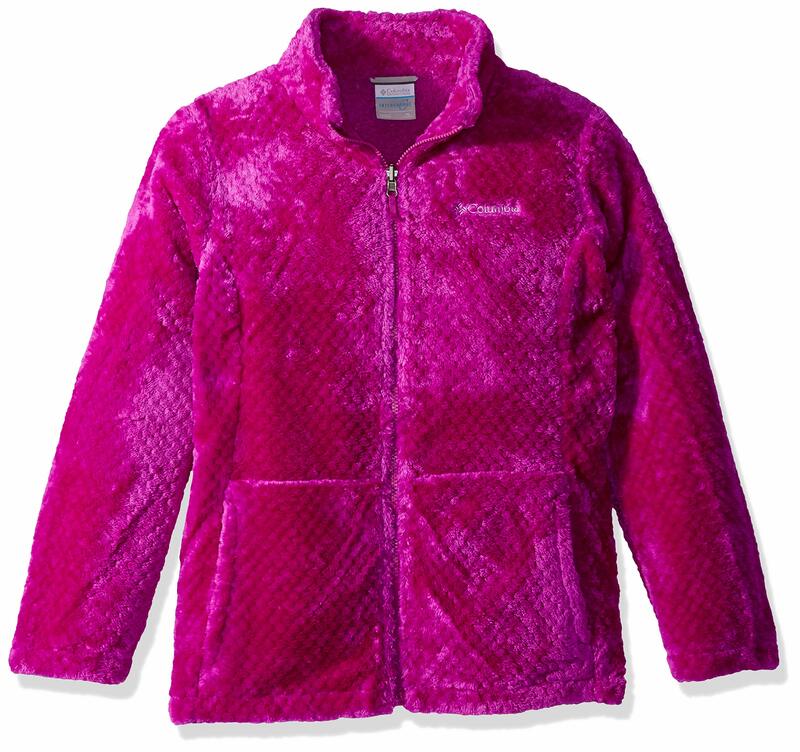 The thermal-reflective inner fleece layer can be worn separately or zipped into the outer layer. 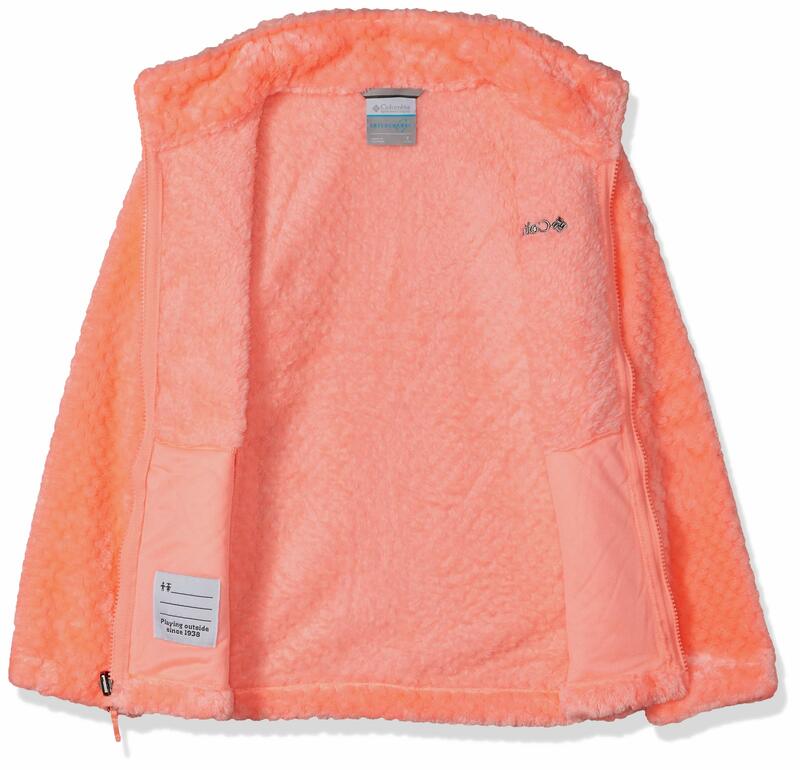 The Columbia insulated girls’ winter jacket is made with Columbia’s OUTGROWN system that lets you extend the cuffs as your child grows for a coat to keep her warm and dry year after year. It also comes with thoughtful details, including a removable and adjustable hood, zippered hand pockets, and adjustable cuffs and hem. This girls’ winter jacket is offered on Amazon.com in multiple sizes, from XXS to XL. 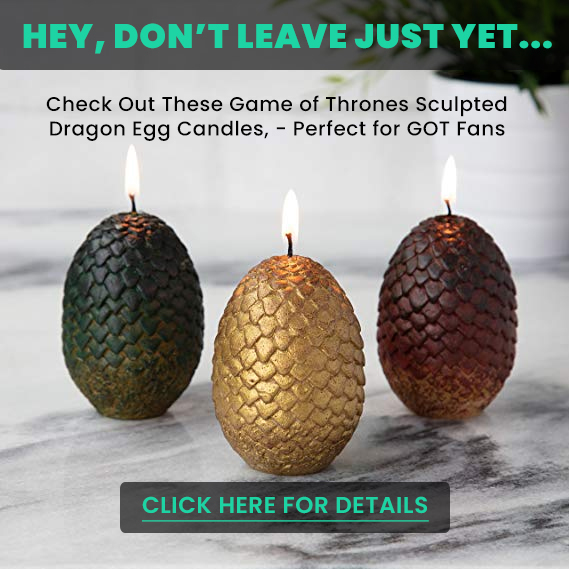 It’s also available in several colors, including Atoll Floral Print, Black Microgeo Print, Bright Plum/Nocturnal, Cactus Pink/Nocturnal, Emerald/Pixie, Nocturnal Microgeo Print, and Tiki Pink Floral Print. To ensure the perfect fit, follow these steps for measuring and refer to the size chart. To determine the neck size, measure at the base or thickest part of your neck. For the sleeves, start at the center back of your neck and measure across the shoulder and down to the wrist. Round up to the next even number. For the Chest/Bust, measure at the fullest part of the chest, under the armpits, and over the shoulder blades, keeping the tape measure firm and level. 3-IN-1: This jacket features a zip-in and 3-point interchange system for three jackets in one. 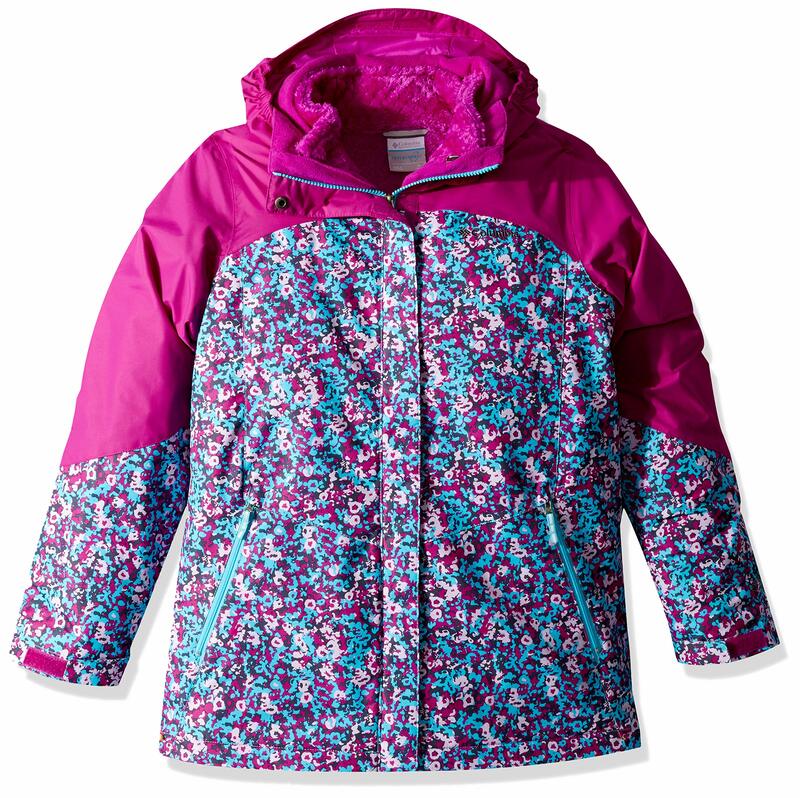 This 3-in-1 girls’ jacket is the perfect companion to snow days outside.